We can supply, fit and install all types of boilers for majority of the leading manufactures. We also service and repair your boiler in case of a boiler breakdown. 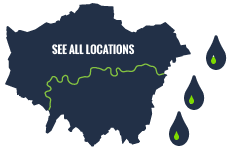 We have years of working on repairing and installing boilers in flats, houses and businesses across London. We are fully Gas Safe Trained. We replace all pipework so that the boiler is installed neatly and always power flush the central heating system. Call us today to get a quote for your boiler. Full boiler diagnostics and repair. Boiler parts fitted and serviced. We cover London and home counties. We can give your boilers an annual or one off service. To make sure the boiler is safe, not emitting carbon monoxide, and is running efficiently. We undertake gas pressure checks, check and clean all flues, clean all carbon and dirt deposits. We issue service certificates. We will attend anywhere in London and the home counties to repair and maintain any boiler issues. We can diagnose funny noises that coming from the boiler, if it’s getting too hot or resolve why the radiators or hot water are not working correctly. Annually we can check and issue certificates for all your tenants boilers. We are happy to give you discounts on multiple homes. Primarily we make sure that the tenant is safe and then we check if the boiler is keeping the tenant warm and producing the correct hot water. We always give the house a quick check to make sure there is no other plumbing issues, if we do find any we will let the landlord know without mentioning this to the tenant. We can replace your old boiler for a new one. If you are removing your old gravity fed system with a combi boiler we will remove all the tanks and pipework that go to the loft. We also will replace you flue with new flues. 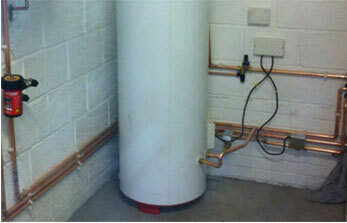 We are able to install and fit any make and model boiler and happily recommend you an appropriate boiler. Expert Plumbers drove across London to do the job. I asked them to give the property a thorough once over. Expert plumbers came recommended, and would definitely recommend to other friends.